If you want to see the night view Macau on the bus, do not miss our Open Top Bus Night Tour for a great experience! With such a eclectic mix of cultures and history behind Macau, unsurprisingly there's a lot to see! 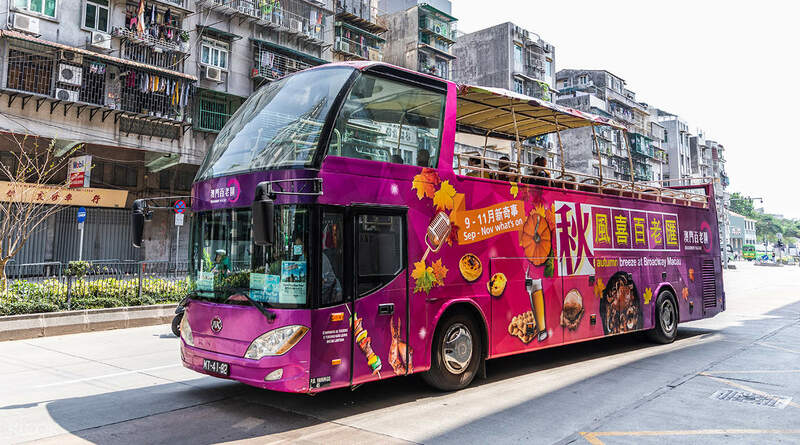 Make your Macau sightseeing efficient, convenient and easy with a hop-on-hop-off bus tour. 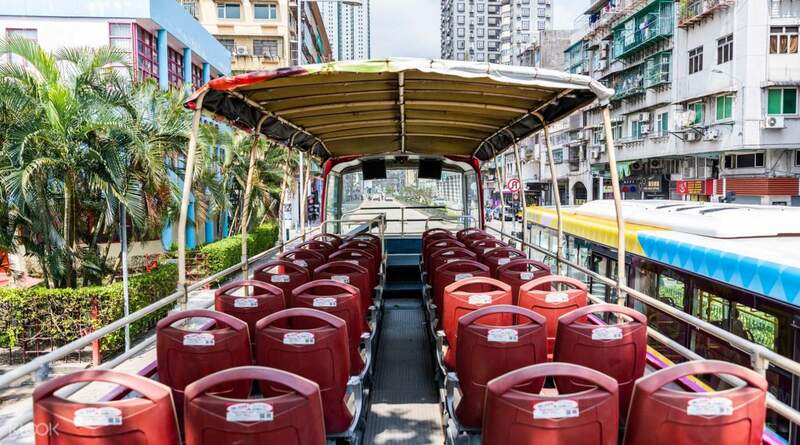 With an open top deck, you can sit back and soak up the sights as you cruise by over 120 Macau attractions, or choose to continue by foot at your choice of 16 stops. Get a feel for a Chinese heritage at A-Ma Temple or Mandarin's House, soak up the Portuguese influence at Senado Square or the Ruins of St. Paul, or keep up pace with modern Macau at one of many grand hotel-casinos or 338m Macau Tower. There's so much to discover, but with a full day pass, you're in with the best chance to see it all! 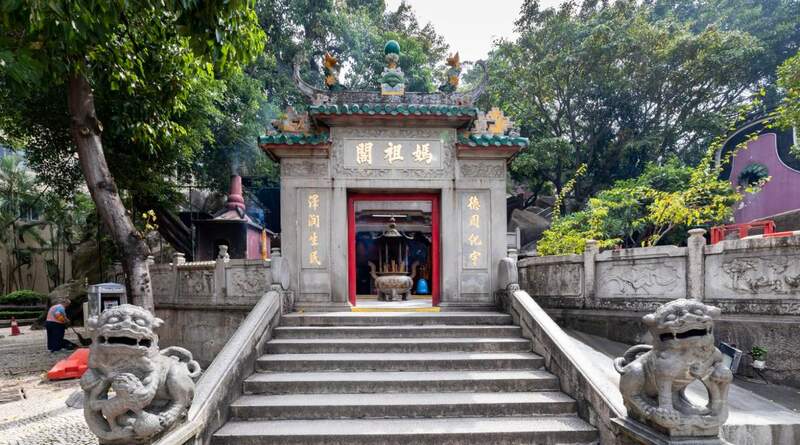 Dedicated to the Chinese sea goddess, Mazu, the locally revered A-Ma Temple is now over 500 years old! I loves the bus tour. Easy hop on, hop off at key areas. We only took three of the stops but those we didn’t take, we never got bored. I am a big history buff, and every time we pass by something significant in Macau, the tour guide had lots of info about it. The tour covers the two main islands of Macau. It was an overall enjoyable experience without worrying about your transpo! I loves the bus tour. Easy hop on, hop off at key areas. We only took three of the stops but those we didn’t take, we never got bored. I am a big history buff, and every time we pass by something significant in Macau, the tour guide had lots of info about it. The tour covers the two main islands of Macau. It was an overall enjoyable experience without worrying about your transpo! This bus tour is really worth. You can make new friends from different countries and it covers all areas in a single day. Macau is very small. They will give you map which helps you to study better. Loved it. This bus tour is really worth. You can make new friends from different countries and it covers all areas in a single day. Macau is very small. They will give you map which helps you to study better. Loved it. 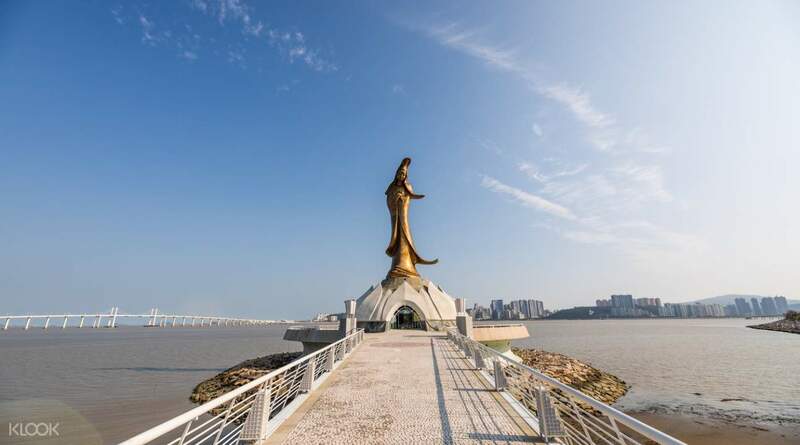 Your ticket with Macau open top bus sightseeing tour takes you to all of Macau's famous landmarks and provides unlimited access to all your routes... just sit, relax and enjoy the view and have 45mins to visit each destinations! 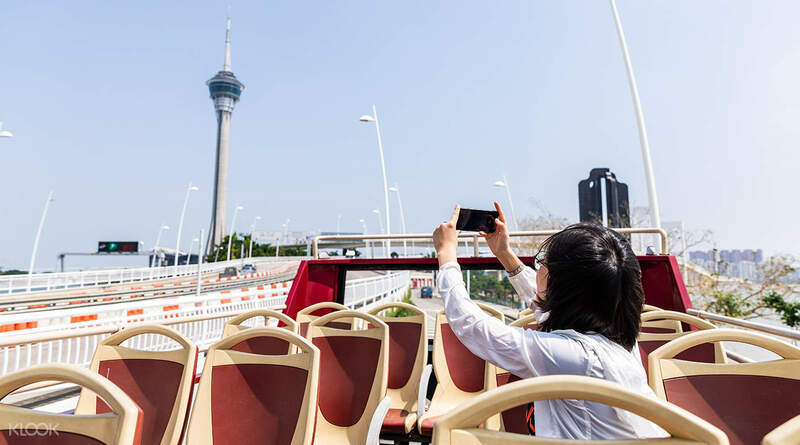 Your ticket with Macau open top bus sightseeing tour takes you to all of Macau's famous landmarks and provides unlimited access to all your routes... just sit, relax and enjoy the view and have 45mins to visit each destinations! Very Convenient if you are visiting Macau for the first time. This hop on and hop off bus makes the trip easy to get around the tourist attractions. Good information was given on the bus about each attractions. When getting off, the guide tell you where to go and what you need to be aware of such as going to the Ruins of St. Paul’s, the guide told us to put your belongings in front of you and be aware when walking to there and around St. Paul’s. So therefore, I highly recommended this for first time visitors. 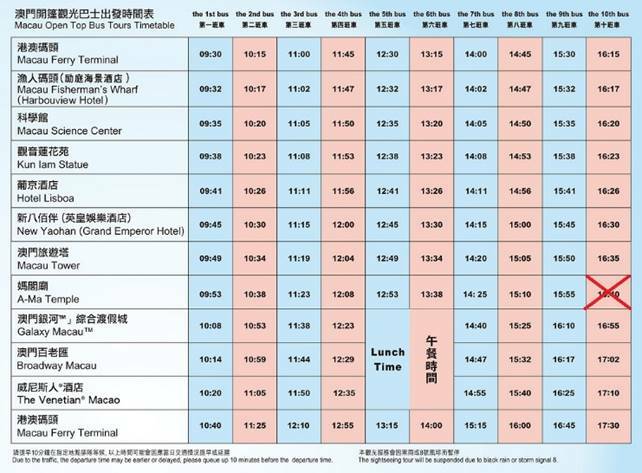 Very Convenient if you are visiting Macau for the first time. This hop on and hop off bus makes the trip easy to get around the tourist attractions. Good information was given on the bus about each attractions. When getting off, the guide tell you where to go and what you need to be aware of such as going to the Ruins of St. Paul’s, the guide told us to put your belongings in front of you and be aware when walking to there and around St. Paul’s. So therefore, I highly recommended this for first time visitors. My tour in Macau along with my parents was amazing! My parents enjoyed the tour, whole day tour, around the city of Macau. We purchased the day bus tour from klook and the experience was great. During that time the weather in Macau was as pleasantly cool so riding on top of the bus was so relaxing and comforting. My tour in Macau along with my parents was amazing! My parents enjoyed the tour, whole day tour, around the city of Macau. We purchased the day bus tour from klook and the experience was great. During that time the weather in Macau was as pleasantly cool so riding on top of the bus was so relaxing and comforting. The best tour bus ever! The guide knew her history and spoke in different languages for the benefit of all tourists on board. She was kind in giving us directions to sites when we could get off at stops. Timing is also perfect on pick ups and drop offs. Thanks! The best tour bus ever! The guide knew her history and spoke in different languages for the benefit of all tourists on board. She was kind in giving us directions to sites when we could get off at stops. Timing is also perfect on pick ups and drop offs. Thanks! The ticket exchange is fast at the counter, located at Macau Outer Ferry Terminal. It was a partial sunny/cloudy day, so much fun to hop on & off the open top bus to travel Macau. The tour guide is very helpful and giving bilingual explanations along the journey. One route takes about 70 minutes to explore most parts of Macau. Just need to plan well when & where to hop off to spread out the fun in one day. Worth for the money! The ticket exchange is fast at the counter, located at Macau Outer Ferry Terminal. It was a partial sunny/cloudy day, so much fun to hop on & off the open top bus to travel Macau. The tour guide is very helpful and giving bilingual explanations along the journey. 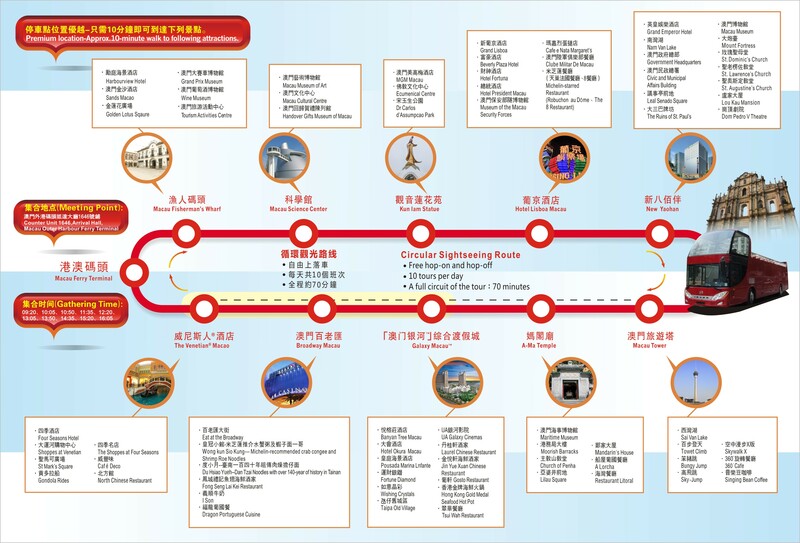 One route takes about 70 minutes to explore most parts of Macau. Just need to plan well when & where to hop off to spread out the fun in one day. Worth for the money! I love open top bus tours in Macau. It's A Great introduction! Is touristy, but hey you are a tourist probably if you are taking this bus trip. It has a great view because you're up high About street level On the double Decker bus. The weather was great when we went so that was all the better. I wound not go on a Rainy or overcast day. There Are Several stops you can get on and off the bus if you choose to explore a Particular area Longer, And then can get back on another bus to keep on the tour. One day pass sufficient. I love open top bus tours in Macau. It's A Great introduction! Is touristy, but hey you are a tourist probably if you are taking this bus trip. It has a great view because you're up high About street level On the double Decker bus. The weather was great when we went so that was all the better. I wound not go on a Rainy or overcast day. There Are Several stops you can get on and off the bus if you choose to explore a Particular area Longer, And then can get back on another bus to keep on the tour. One day pass sufficient.